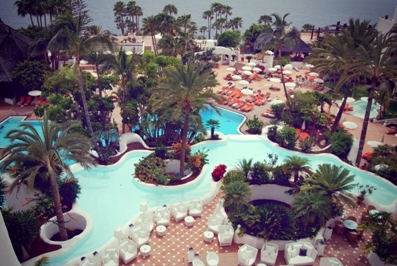 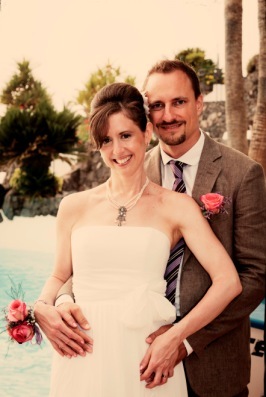 It was an amazing day in June in the Canary Islands! 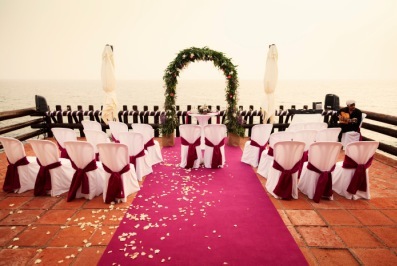 Everything was perfectly prepared for the lovely couple to tie the knot in front of their guests and the azure blue ocean. 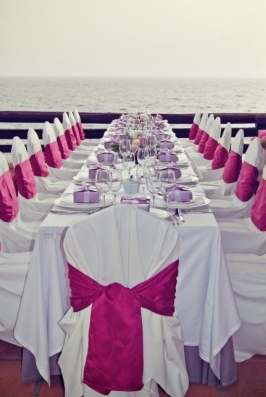 The beautiful view at the wedding venue and the Atlantic. 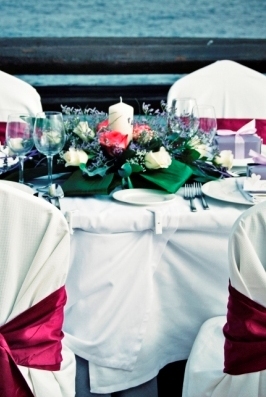 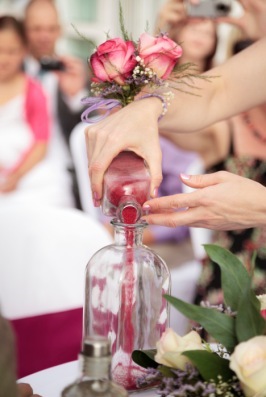 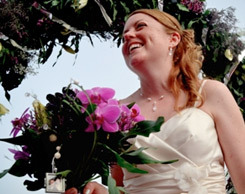 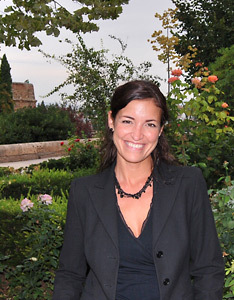 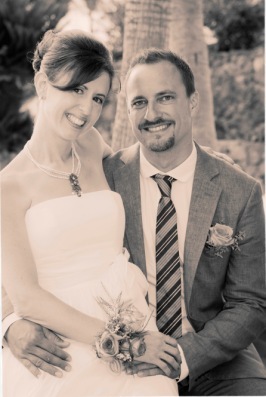 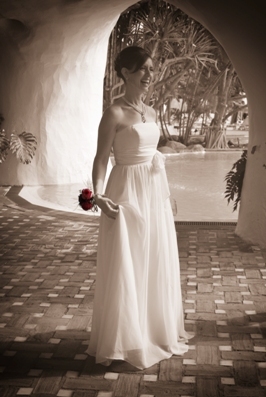 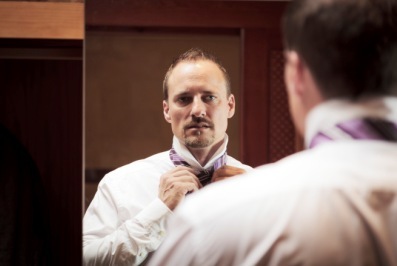 Our professional Stylists want the bridal couple to feel beautiful and comfortable on their special day. 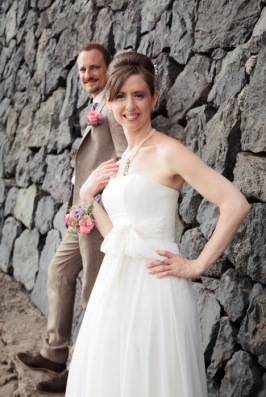 The perfectly styled couple is excited about their wedding day. 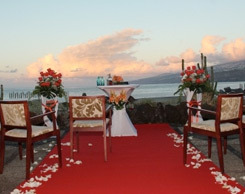 A really exotic photo venue! 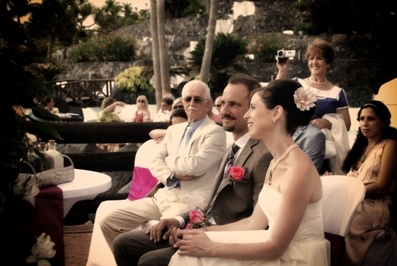 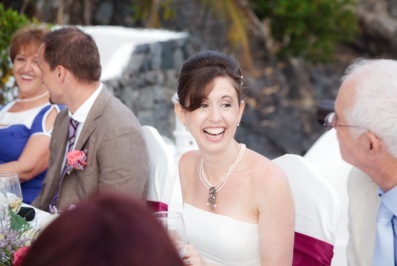 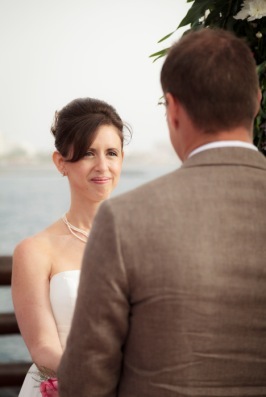 Our marriage celebrant astonished the couple with a wonderful speech. 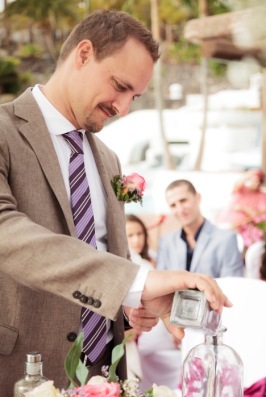 The hand ceremony is always a very emotional part of every ceremony. 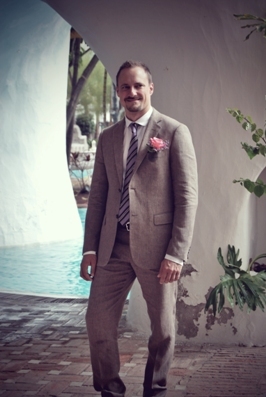 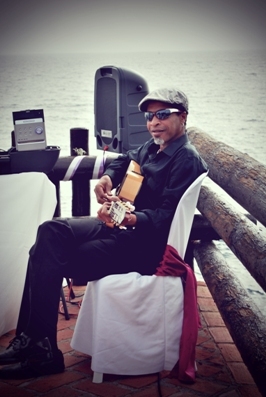 Our guitar player accompanied the whole ceremony with the couple´s favourite songs. 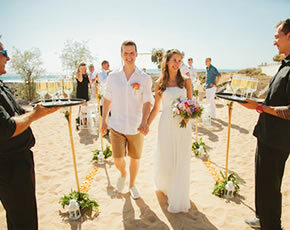 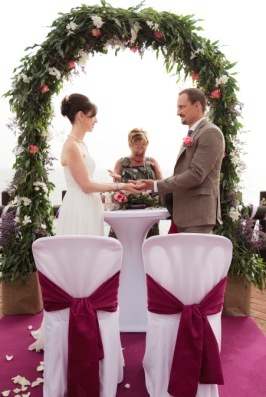 The romantic sand tradition, created by Nadine García Breuer their wedding planner in Tenerife, is another great highlight on their wedding day. 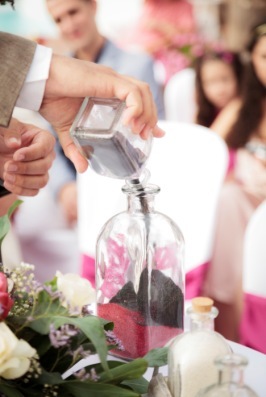 The differently coloured sands symbolize love,strenght and versatility of a marriage. 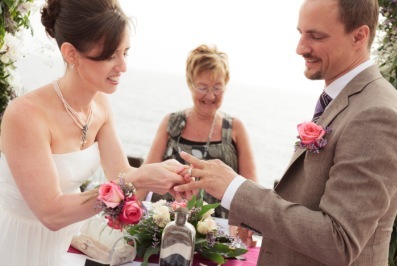 Exchange of the wedding rings as a sign for their never-ending love. 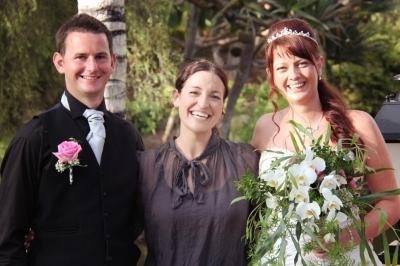 After the wonderful ceremony, the bridal couple had a photo shooting with the professional photographer of My Perfect Wedding in Tenerife. 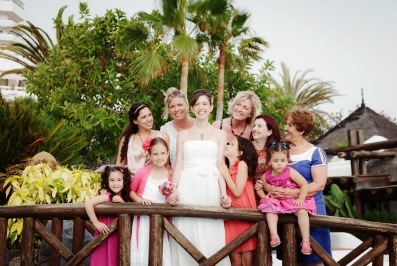 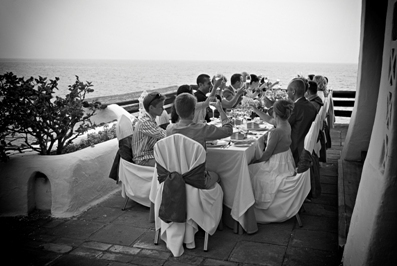 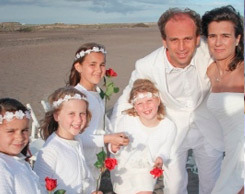 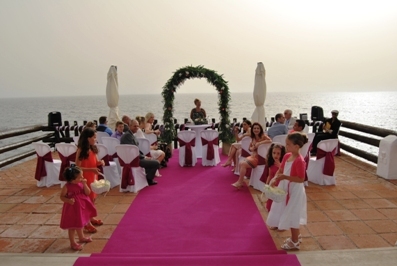 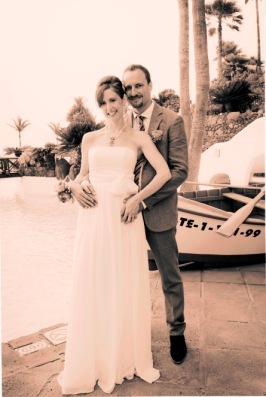 The bridal couple and their friends enjoy the stay in Tenerife also because of the wedding with that stunning sea view and the warm weather. 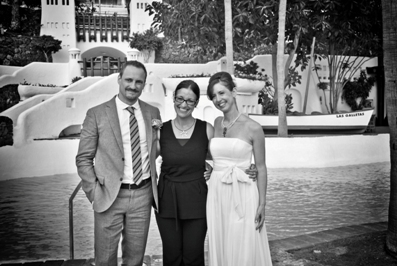 The biggest “Thank you” goes to Nadine García Breuer and the My perfect wedding team because they organized this wonderful day. 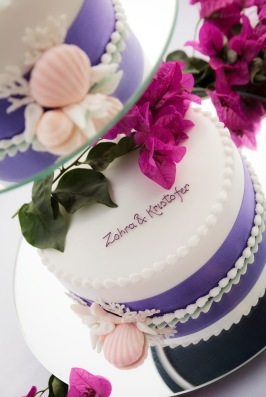 The colours of the decoration and also the tasty wedding cake matched perfectly! 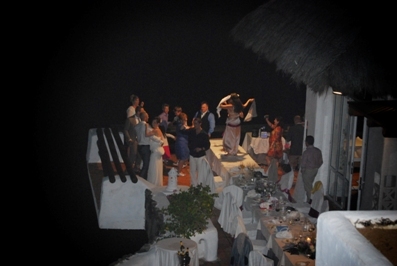 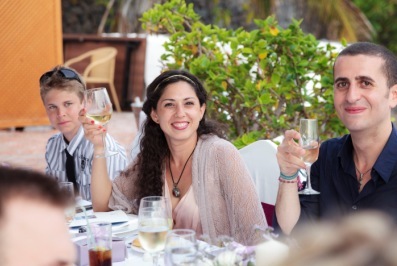 While waiting for the exlusive dinner, they toast the wonderful bride and groom. 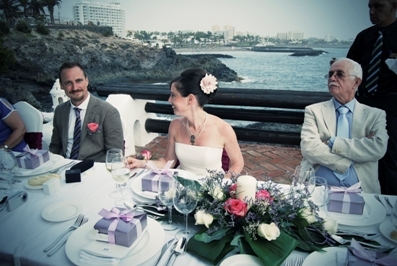 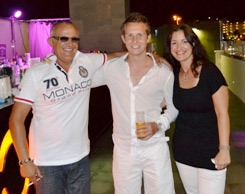 Everybody is happy about this awesome day in the Canary Islands! 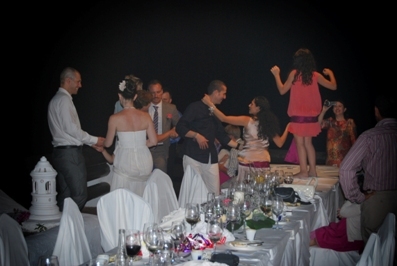 After the delicious food they have a great party with good music and a lot of dancing. 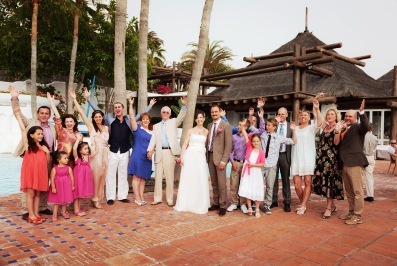 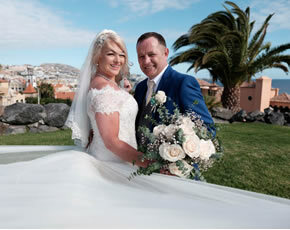 The My Perefct Wedding team wishes them all the best for the future and hopes to see them again soon on their dream wedding island – Tenerife!